Dogs go out every day in the morning and in the evening in the spacy area of the farm in which they find birds that have been set free and are already in a semi-wild state. 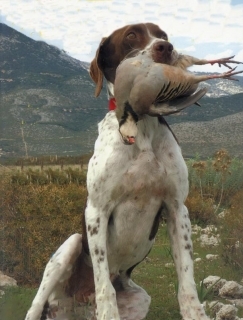 The training is specialized for hunting dogs and its been worked out according to the dog’s type and character. Our trainer from Bulgaria has been working in our facilities for 11 years and every member has been impressed by his knoweledge and love for dogs.